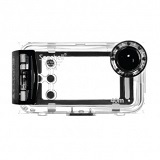 This waterproof case is specially designed to protect your iPhone. 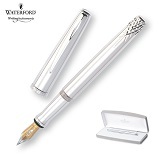 Fountain pen, brass, platinum plated, hand-cut detail, 18 ct gold nib, black ink. 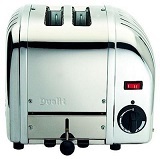 Dualit toasters can turn out hundreds of crisp, golden slices per hour. They are gleaming, sturdy and tough as old boots. 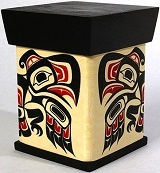 Bentwood boxes are one of the most outstanding items manufactured by Native people of the Pacific Northwest Coast. This is a gift of generous proportions, and a grand gesture in every way. Soft and cuddly organic baby supplies, including special relief balm for Mommy. What I love most about summer are the adventures and experiences that the season offers. The beautiful sights, sounds, fragrance and different taste of summer are wonderful in my books. 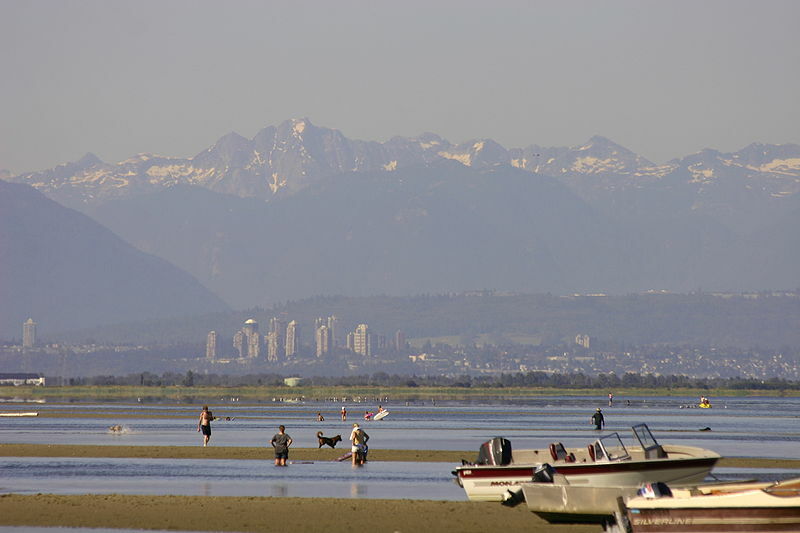 Summer is all about fun and there is a lot of fun to be had in BC. My Canadian summers have always been incredible. When it comes to adventurous living, nothing beats having the expertise of the coolest of in-laws. My husband’s family, all the uncles, aunts, cousins, grandparents, nephews and nieces, are outdoor fun seekers. Taking down trees in the deep forest for firewood, like a true lumber jack, camping in the bush, fishing, canoeing, kayaking and hiking are run-of-the-mill to my in-laws, but they are spectacular adventures to a girl from Singapore. In addition, these adventurers are always full of stories of their past adventures. Their recollections are not something you will read about in history books. The stories are real, fascinating and always full of exciting activity. One of the best story tellers I have come across during my Canadian summers is my husband’s Uncle Bud who is 88 years young and his stories are enchanting. If you have ever driven up to the Okanagan along the scenic Hope Princeton Highway, also known as the Crowsnest Highway, then you have been touched by a piece of Uncle Bud’s past. Bud and his dad bought 160 acres on the eastern boundary of what is now Manning Park. Together, with his brothers, they felled trees and began building three houses, a restaurant and eleven cabins. This development became known as Tower’s Café and Motel. While they were building log cabins and the restaurant, Bud and his brothers got a contract with the building contractor of the Hope Princeton Highway. 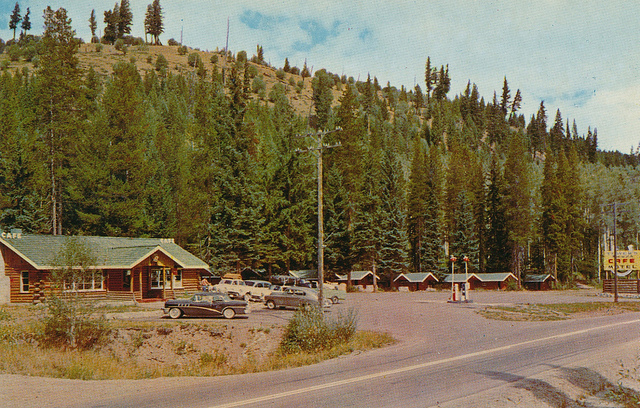 The contract was to clean the right of way for the new highway from Allison Pass to 4th creek, which was just west of the Tower Motel and Café and was an eleven mile stretch. The Hope Princeton Highway was the first modern highway linking the Fraser Valley to the interior and Uncle Bud had a part in the building of this highway. Bud was there when the Minister of Highways for the Liberal government, Mr. John Hart, cut the ribbon to open the Hope Princeton Highway. Every night, every weekend, after working on the highway, Bud and his family would work cutting and peeling logs. They built a sawmill so they could cut the logs on two sides ready to build the cabins, houses and a restaurant. They had no money to buy lumber and nails so they got a job with the highways department to remove the relief camps from Forest Creek and Copper Creek and they used the lumber and nails to build some of the houses and the roofs. While cutting trees for logs to build cabins and houses, Bud and his family cleared a section of land that they later made into an airport and runway. Bud was there when Flyin’ Phil Gaglardi, Minister of Highways in W.A.C. Bennett’s Socred Government, cut the ribbon to open the airport, sometime in the early 50’s. 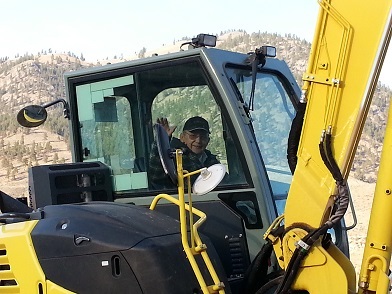 While the opening of the Hope Princeton Highway was history in the making, it is just a mere blip in the life history of this 88 year old man whose only regret is that he is too old to be involved with the new changes and adventures that British Columbia is facing. He believes in this country and this province and sees a golden future. Uncle Bud’s stories are intriguing and inspiring, especially so because they are told by a man who is a true entrepreneur. I love listening to his ideas of how and what Canada can do to advance and progress. Speaking of adventures, exciting changes and opportunities are happening in the Green & Green office this summer. We are growing to serve you better. Firstly, I’d like to introduce you to the new members of the Green & Green team. Our new sales associates Tony Prior, Jennifer Bjarnason, and Phyllis Harber-Murphy are here to help you with all of your gift-giving needs. The very nature of giving a gift requires thinking of other people before ourselves and taking the time to select something we know the other person will enjoy. Our Stand Out Gift Programs are tailor made to inject delight. In addition, we’ve just said goodbye to our gift associate Sarah, whom some of you may have worked with over the last year. She is off to law school in Toronto! While we are so excited for her and wish her the very best, we will definitely miss her. But moving on means meeting new people, so here’s another warm welcome to Pamela Prior, who has filled Sarah’s position and is eager to start working with all of you – give her a call! I am speaking at the Rotary Club of Vancouver on September 23, presenting “The Gift We All Have.” It’s an adventure of a different sort, and I would love to share it with you! Please RSVP directly with the Rotary Club of Vancouver. Seating is limited, please RSVP. And lastly, for a little in-home adventure and quality bonding time, here is a fun and easy summer project! My husband’s Aunt Catherine-Anne, is the great-grandniece of renowned BC artist Emily Carr, and is a talented artist in her own right. Take an afternoon to play in the sun and make her famous “Bleach Bottle T-shirt”.